Hi Zsuzsana! What moments remind you of why you chose the floral business? A client ordered something for her brother’s funeral. It was something special. I had to take it to where the service would be. Normally I don’t meet family members in that situation, but she was there early, waiting for me to deliver. When she saw the arrangement, she burst into tears. I thought maybe something was wrong with it, but no. She gave me a huge hug and said, “Thank you! This is exactly what I wanted. You’ve just saved this day for me.” That moment has stayed with me. I picked up the phone one day and the first thing out of a man’s mouth was,“Do you have an a**hole bouquet?” I was highly experienced at that point, so I simply replied, “How big an a**hole were you, sir?” After he finished explaining, I recommended a premium arrangement! I fully grasped how angry his wife was! I was touched that he did know his wife’s favorite flower, though, which helped a lot. So I created an arrangement … and she loved it! A few days later, he contacted me to tell me how well it had gone. She’d forgiven him. So he then asked me, “Do you do weekly flowers? I mess up a lot!” A big part of building client relationships is just listening! What obstacles did you encounter that held your business back? I had worked with wire services and their fees were something I figured was just part of business. But as I gained more experience and went into the details of their charges, they made less and less sense to me. One day a friend called me and told me about Lovingly. He said things I could hardly believe. Free this, free that, free the other! They don’t make any money until you make money — no lists of additional fees! No more obstacles, really. If this hadn’t come from a person I have tremendous respect for, I would have felt I was being sold something. But I knew he wasn’t selling me. He told me he’d dropped everything else. I’m really grateful to this day for that call, because my business has been on the up and up ever since and I’m so glad I joined Lovingly. I was putting it off at first, then I thought, “Well, I’ve felt used and abused by wire services, so let’s take a risk on this and make it happen.” I don’t understand all these little techie tricks they do, but the speed of growth for my business leaves me in awe. Choosing Lovingly was a no-brainer. They have answers instead of obstacles. What business advice would you give to your fellow florists? People are brainwashed into thinking they have to order flowers from the wire services. The wire services have taken away business from the local brick and mortar shops, so don’t second-guess everything. I know from my own experience that florists do that, because I did. You think, “That sounds too good to be true!” You wait for the other shoe to drop. It’s human nature, particularly with everything the floral community has been put through and the amount of money that we lose. Lovingly is repairing that. I feel blessed to be in a position where I’m part of it, because I can see it. I’ve been on the other end, when I didn’t know any better. I know the difference now and I know they actually care about my shop, about me, and that they are helping me to grow. It’s real. What helps your business grow and gives you more time for design today? Having the Lovingly Weddings feature is just a fantastic thing. This way, flower shops don’t have to subscribe to other services, because Lovingly makes it inclusive in the partnership, along with so many other things. It’s really a unique feature and I really love it. I’ve had a lot of wedding referrals from it already and it’s only been out a few months. I like it a lot. My other favorite is the Lovingly POS system and being able to print out the SuperTickets. They make my shop look so professional. And the POS system itself is yet another free feature with Lovingly. Every single thing they come up with really pays off. 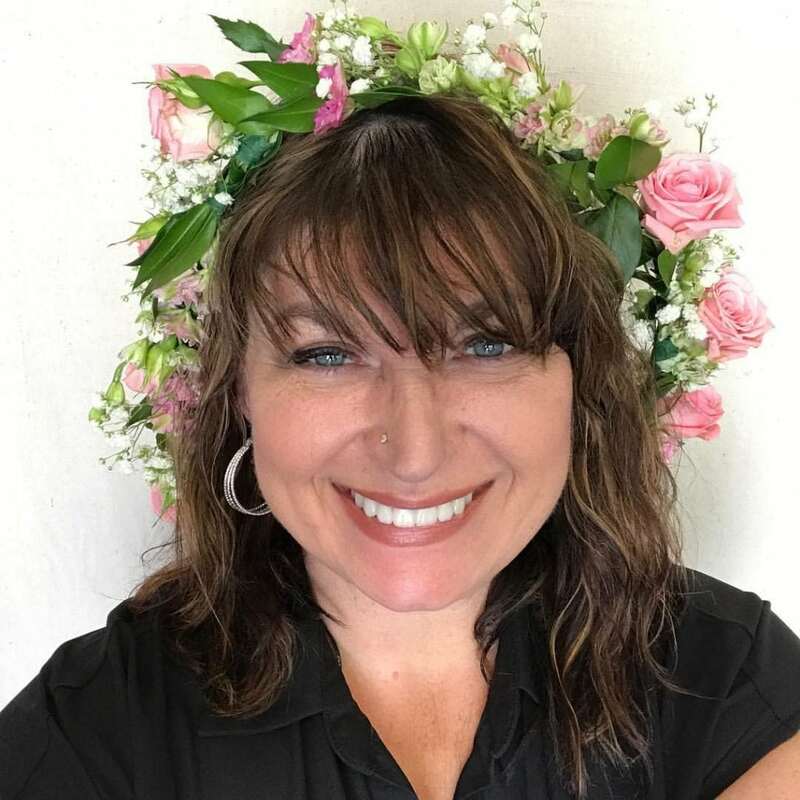 I genuinely think Lovingly is redefining the floral industry with all they do. 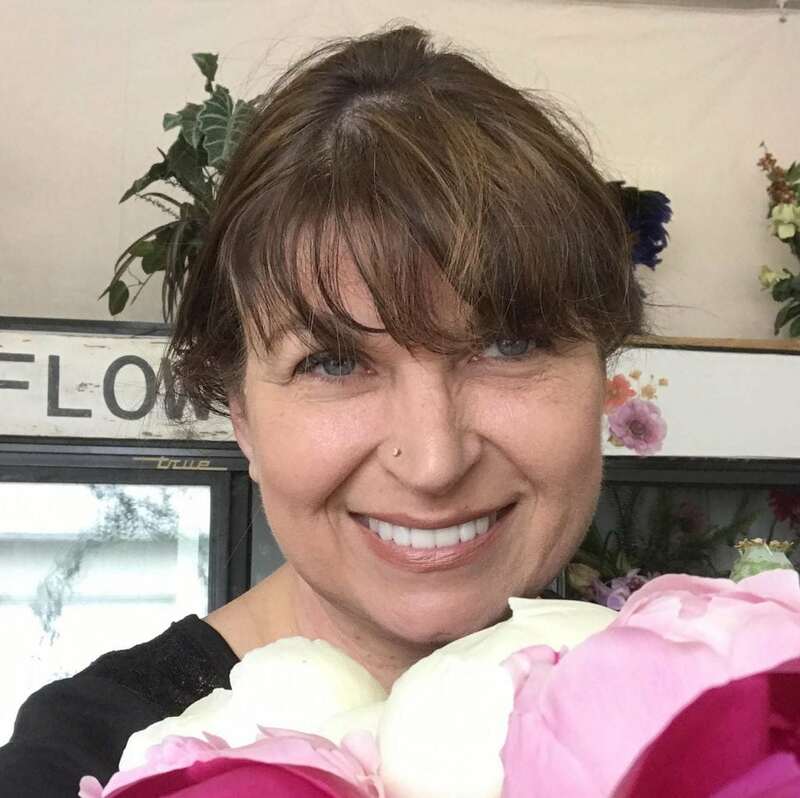 I was trained in floristry in L.A. and worked in a flower shop for several years before moving, for the sake of my children and their quality of life. My shop came together very well, thankfully, with Lovingly’s help. It has been a tremendous success for me. Today, my daughter works for me full-time and is also our delivery driver, so it’s still all about family!